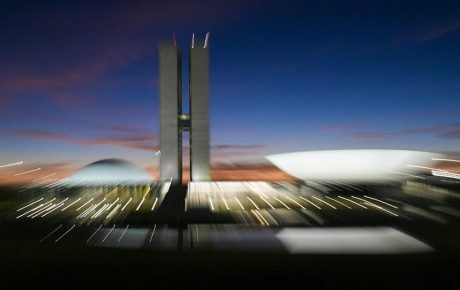 News that Alessandro Vieira, a first-time Senator from the southern state of Rio Grande do Sul, managed to gather the necessary signatures to launch a so-called Parliamentary Committee of Investigation into the activities of the Brazilian justice system, sent shockwaves through Brasilia. The threat of investigation exasperated an already existent rift between the Legislature and Judiciary—two of the country’s three branches of power. Panic set in, with Supreme Court Justices lobbying senators in an attempt to convince them to withdraw their support and avoid the dreaded investigation. It turned out to be successful, with Senators Kátia Abreu and Tasso Jereissati taking their names off the petition. These investigation committees, commonly known as CPIs, are a peculiar aspect of Brazil’s legislative system. Typically involving a great deal of grandstanding and public airings of dirty laundry, with little end result, the bark of a CPI is, more often than not, much worse than its bite. Despite its grand title, a CPI actually doesn’t have all that much to do with investigating. The motives for instating said committees are usually political—be it personal or partisan—and they are geared far more towards marketing and molding public opinion. How does a CPI work? In theory, any elected official from any legislative chamber around the country has the power to launch a CPI into a matter of his or her choosing. First, however, the said politician must draw up a request and receive the support of one-third of the chamber. In the Senate, 27 signatures are needed; 171 are necessary for the lower house. The request is submitted to the chamber’s governing board, which will then read the petition to the floor. In order to finalize its creation, leaders of political parties meet to decide which of their members will take part in the committee. The last step is to elect the CPI chairperson and rapporteur, both of which are crucial. It is the chairperson’s job to draw up the workflow for the CPI, which initially lasts for 120 days and can be extended as needed. Though nominally deferential to the president, the rapporteur is the key position inside any CPI. It is his/her responsibility to draft the final report of the investigation, including the results of the probe and the committee’s suggestions to the Federal Prosecution Service to pursue potential indictments. Many are the cases of CPIs wherein the rapporteur is chosen with the sole intent of disrupting the investigation, omitting important details in the final report or sparing allies. A CPI is granted certain investigative powers which are usually reserved for the judiciary branch. It can lift the banking secrecy and tax confidentiality of its targets, as well as calling witnesses and suspects to give testimony. By the end of the CPI’s lifespan, the final report is elaborated, which is then put to a vote of approval. If accepted, it is sent to the Federal Prosecution Office. This, however, is no guarantee of action. 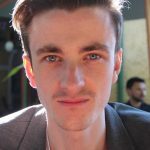 CPI reports are often ignored, principally because investigations rarely uncover new facts which haven’t already been found by police inquiries. Sometimes, however, they get lucky. In 2005, a CPI was launched into corruption scandals at the state-owned postal service company Correios. During the course of the investigation, the CPI heard Roberto Jefferson, who, incensed at being pulled up for his involvement in the scheme, threatened to reveal corruption scandals within the sitting government. 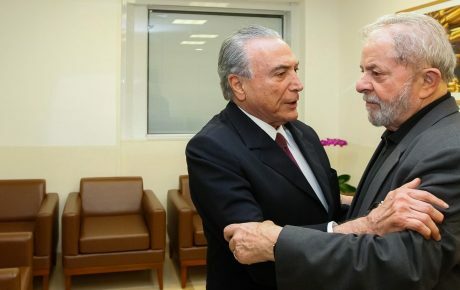 He then gave an interview to newspaper Folha de S. Paulo, detailing the so-called “mensalão” scheme, the largest government corruption scandal ever revealed at the time. Evidently, CPIs are more of a political tool than anything else. A great deal of controversy surrounds each investigation, and the testimony of targets are often broadcast live on television. Thus, it is terrible for anyone’s image, meaning those in power will do whatever they can to avoid them. The threat of a CPI is powerful. 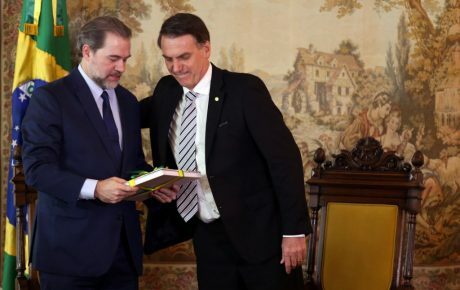 In January, there was talk of launching a parliamentary investigation into the money laundering allegations against Flávio Bolsonaro, the president’s eldest son. While actually going through with such a move is unlikely, it is a way for a parliamentary minority to make itself heard, or to promote its own image. In response to the tragedy of the Brumadinho dam failure, newly elected member of Congress Joice Hasselmann (of Jair Bolsonaro’s Social Liberal Party), took to her YouTube channel to declare she would lead the charge for a CPI into dams around the country. Romário, a former World Cup-winning footballer turned politician, celebrated his election to the Senate by launching an investigation into the Brazilian Football Confederation (CBF), giving some much-needed visibility to an otherwise silent member of Congress. However, Romário’s naivety and lack of experience allowed Romero Jucá, an ally of the top brass of the CBF, to be appointed rapporteur of the investigation, leaving the final report completely impotent. With a high rate of renewal in the newly sworn-in legislature, many members of Congress are expected to launch their own CPIs as a way of establishing themselves in the House and Senate. Only one week after the current lawmakers took office, six CPI requests have been filed—a rate of almost one per day.